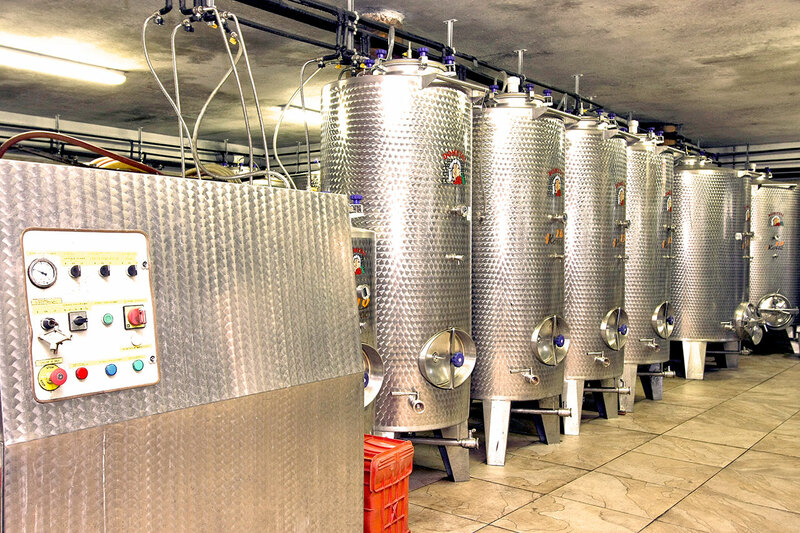 Usually you can found the wine cellars within the farm or in its close proximity. But that is not our case. 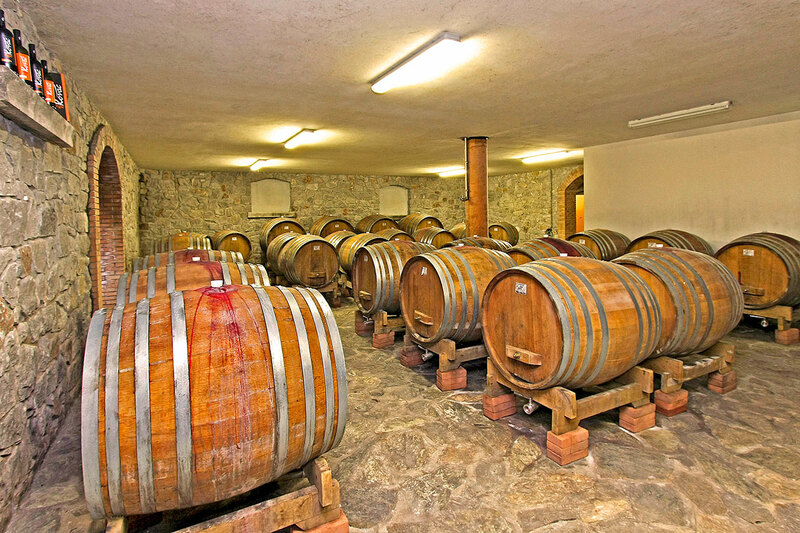 The spaces for the storage and tasting were built in the middle of the Karst between Doberdò and Marcottini. More precisely the wine cellar is not on the surface but has been dug in the ground, in the heart of the rocky limestone through which flow the terrestrial energy currents and where the underground space freely breathe bringing the right life force to the wine. There you will have chance to taste and take products from the catchy names: Terrano, Merlot, Cabernet Franc, Chardonnay and Malvasia. We dug as far as the excavator’s bucket could reach at a depth of 10 meters. At the second level of the wine cellar air temperature is constant and records 8-10 degrees Celsius; this allows a proper ripening and preservation of all wines listed and another rather special: we produce a new specialty called Caberlot. It is an eloquent conjunction of two names: in the right dose we conjugate cabernet with merlot. It is really worth to taste this our latest design! The wine cellar has also enriched its offer with a non-alcoholic juice from Terrano grapes: the new refreshing beverage retains all the minerals and antioxidant principles characteristic of the wine that comes after pasteurization. The drinks do not have added sugar or water. Three brothers are the direct actors of the entire production and supply overlooked with the careful eye of the father. 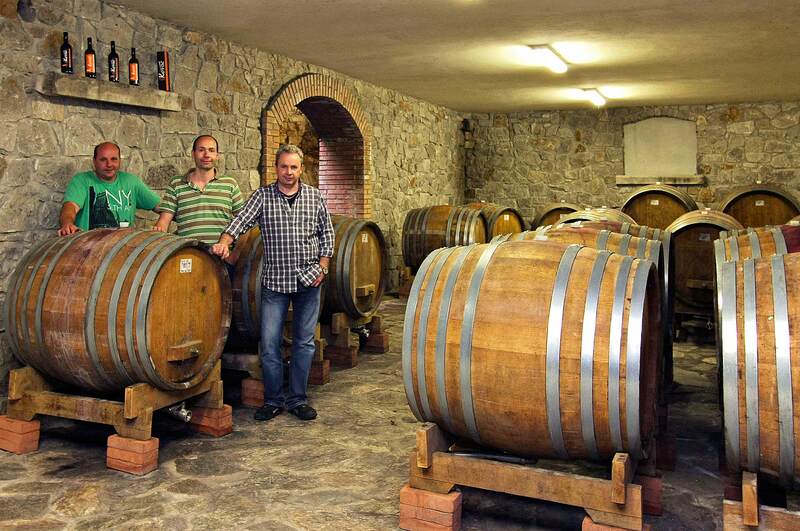 Ivan is dedicated to the red Karst soil, the seasons, the vines, the pruning and the vintages; Robert dedicates his time to the two floors cellar, oak and stainless steel barrels, the presses, the wine decanting and bottling; Andrej care marketing and thus the supply, communication and sales – wholesale and retail. The wines offered of course combined with the food served at the inn. NB! The wine cellar is circumscribed by a corridor, which is narrow between a concrete wall with appropriate crossings and the rock wall. The peculiarity of this system allows you to watch live the varied composition of the layers of limestone, the stalactites, the traces of shells and veins of red earth from the surface down into the depths. A real trail.